I was reading in LinkedIn recently and saw an ad for a Business Resiliency and Crisis Management Consultant for a large healthcare provider. It discussed enterprise resiliency policies and resiliency strategies for the ORGANIZATION and required a certification and standards. A couple of years back I read an article in the New Yorker Magazine, “How People Learn to Become Resilient“, by Maria Konnikova, and it made me think of a client company who I’ve worked with for 15 years that is currently in its third year of a merger process, now with a second acquirer. But this was about resiliency for the individual. 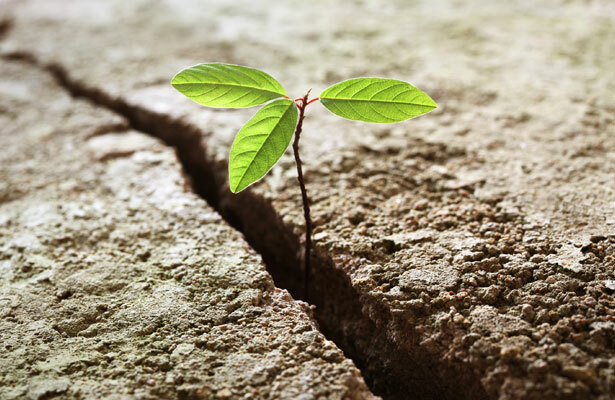 This issue of resiliency in the workplace made me think of how many of my clients are navigating in incredibly difficult waters over such an extended period of time. I know some have dealt better than others, some have left and many are dispirited. A high performing organization has been thrown into disarray due to the extreme uncertainty, shifting focus and a virtual executive leadership vacuum. People’s personal and professional lives are in flux. The purpose of this post is to identify the insights that have helped to clarify what can create more resilient responses to all the challenges that confront us. Norman Garzeny met with thousands of kids over four decades as a developmental psychologist and clinician at the University of Minnesota. He described some kids who “would go on to identify as succeeding, even excelling, despite incredibly difficult circumstances.” * These children, he would later say, exhibited a trait that he identified as “resilience”. I believe that the concept of resilience is a critical one given the variety of stressors that confront us on a regular basis. We all know those people who can be counted upon to “roll with the punches” much better than others. Is there something about who they are or how they think that could be instructive for others in managing in this rapidly changing world? To clarify, personal environmental threats may include poverty, violence, lack of support / abuse by parents or caregivers, accidents and serious health concerns. Professional environmental threats can include threats of or actually being fired or laid off, harassment, lack of focus for your efforts, prolonged uncertainty and unsupportive leadership. The intensity and duration of the stressors or threats can also play a significant factor – e.g. a heated verbal exchange is still a conflict, but it pales in comparison to observing a brutal assault. It is impossible to completely control those factors that influence a person’s disposition or to have any impact on how lucky or unlucky a person may be in life. Being autonomous and independent with a “positive social orientation”. This meant that some people boldly sought to meet the world on their own terms rather than be victimized by the fickle randomness of it all. They were not always successful, but at least they started with this perspective. Unfortunately, resilience can change over time. There are times where stressors can overwhelm resilience because of their intensity. “Most people, in short, have a breaking point”. * On the other hand, people can learn the skills of resilience during the course of their life or can regain a resilient attitude. We are all capable of worry, rumination and doubt which allows us to take a minor thing and possibly blow it out of proportion. If we can identify some ways to proactively manage the stressors or environmental threats with a different perspective, we may find that we can re-gain that “locus of control” that can enhance our ability to be resilient. In my work with executives, I use an assessment that looks at various factors that create an emotional intelligence profile for them. Emotional intelligence (EI) is like a social radar that allows us to see and perceive what is occurring in our environment. There is a high correlation to success as a leader and strong EI. Two elements of EI that are measured are Stress Tolerance and Impulse Control. I suspect that people who score at the upper part of the range on both scales would probably be seen as more resilient than those who score lower. If you can manage to not lash out at others, not allow situations to wear you down physically and emotionally and at least appear not to melt down because of stressful situations, you will appear more resilient. Social Support: I believe that no man or woman are islands and if we have a circle of friends or family, a faith community or other social outlets, that not only reaffirms who we are individually, but that connection is also a stress reliever in and of itself. Self-care: if we take the time to care for ourselves physically and emotionally, we recharge our batteries in a manner that allows us to not only handle stress better, but obviously to be more resilient. I make it a point when I probe about these things with the client, that I am not taking the role of their pastor, partner or psychologist. But I am pointing out elements of our lives that we frequently make secondary when in fact they enhance our ability to be successful as leaders and individuals. Do I believe that I am a resilient person and how would others assess me in that regard? Can I reframe the causes and impacts of my stressors so I can minimize the stress and reinforce resiliency? Do I exercise enough self-care and have enough social support to reinforce my capability of being a resilient person?